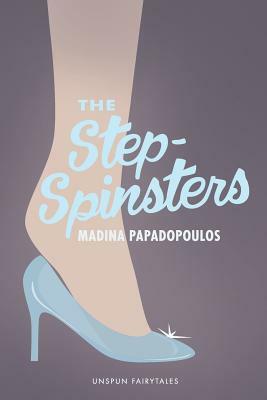 The Step-Spinsters by Madina Papadopoulos, July 18, 2017. Published by Createspace. Source: Author for review. Once upon a time, in a land far, far away... ...(actually, in Medieval France, to be exact) there lived Cinderella's stepsisters, Fredegonde the tall and Javotte the small. They wake up the morning after the legendary ball to learn that they each still have a chance to be the bride-all they have to do is make their feet fit into that tricky slipper. Alas, these two damsels under stress never quite seem to fit in anywhere. But that doesn't stop them from wishing and hoping as they set upon a quest for grooms and grandeur of their own. Though she wasn't much of a sleeping beauty, Fredegonde's eyes were sealed shut, as if she wished to sleep for the next hundred years. I am not sure how to classify The Step-Spinsters...It's definitely not what one would call "NA", but also not really "YA" either...it's just a really good spin on the story of Cinderella (we'll just leave it at that). I am really excited to discuss Madina Papadopoulos' retelling, or new spin, on the classic Cinderella story. There were so many elements of the book that I really enjoyed; chief among them how she gave more depth to the overall story and the lives of Cinderella's stepsisters. It was a welcome change to an old tale and one that I think y'all will enjoy, too. If you know me, then you know that I enjoy historical books especially when the setting is done well. Which it was in this book. As I was reading, it really felt like the author was familiar with medieval France; it's all in the small details that show how much research was put into creating a believable medieval setting. I'm a stickler for world-building, be it fantasy or contemporary, as I want to see the world of the book come alive. I could go on about the setting, but I'll leave that for y'all to discover for yourself. I really enjoyed seeing a more in-depth look at Fredegonde and Javotte's personalities, as well, as their mother. It was really interesting to see their side of the story and how they differed so much from each other; let's not forget the relationship between them and Cinderella, it was explored in a totally different manner than most versions. Not only were their motives, Fredegonde's, marrying well to be more in charge of her house, and Javotte's, to marry for love, made them more real than any version of read/see of them. Especially when you read about their story in the context of the time that the book is set. Overall, the writing and storytelling in The Step-Spinsters were highly enjoyable! I'm not sure there's much more to discuss with this book without delving too far into spoilers. Just that I enjoyed it more than I thought I would! Final Verdict: The Step-Spinsters- What if there was more to the tale of Cinderella than meets the eye. Well, that's what you'll see when you dive into this retelling that focuses equally on the three young women and their stories as they search for happiness. A rich setting adds so much to this already enjoyable read. A copy of this book was received for review consideration from the author. All thoughts are my own. 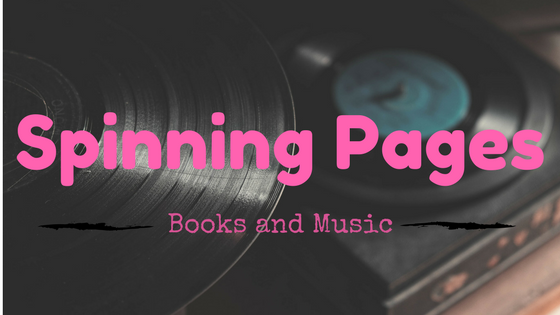 This week on Spinning Pages takes us to a school somewhat different than others. One where the 7th-grade class has 'staged' a bloodless revolution putting them in charge of their grade; and searching for a long-lost Civil War-era relic that could change history. 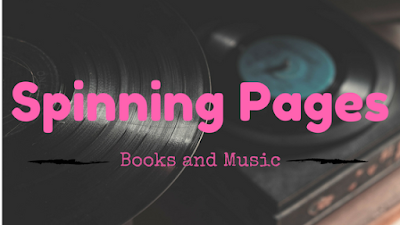 Keeping reading to see what song is going to make the cut this week on Spinning Pages. I'll you this, it was not easy finding a song that went well with this book. It took me a few hours to find the 'right' song for Liana Gardner's 7th Grade Revolution. One that would fit the mystery and the characters. I'm pretty pleased with this week's song and lyric selection to pair with it, though. I chose Exo's History because the (above) lyrics made me think of the difficulties that their class went through during their 'rebellion' and how they almost let their differences prevent them from finding the treasure supposedly hidden within their school. It not only fits that aspect of the book but also how they were forced to look at each other in a way that went deeper than their surface. You can see my full thoughts on Liana Gardner's 7th Grade Revolution by checking out my review. You can also watch the music video for History by Exo!! New York Street Style by Zoé de Las Cases, August 29, 2017. 80 pages. Published by Clarkson Potter Publishers. Source: Blogging for Books. 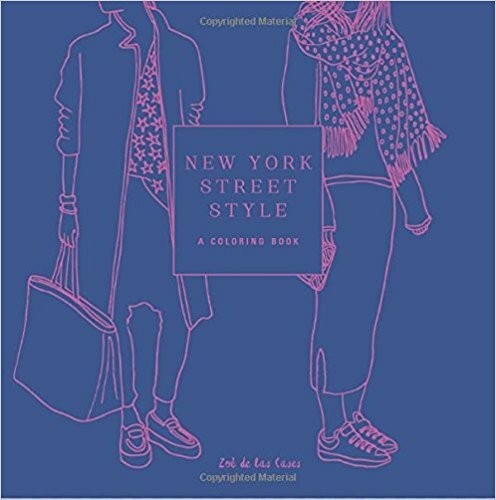 Adult coloring gets a makeover with charming, fashion-forward illustrations from the city that never sleeps. Wherever you’re off to, take New York Street Style with you. Transport yourself to bustling New York, and give life to the city. Beautifully detailed outfits, accessories, and hairstyles complement iconic skylines and intricate street scenes. Embellish whimsical, full-page patterns with your own touch and window shop the elegant stores of New York while you make your way through an iconic city. This sleek, high-end package has an elastic closure and a satin ribbon marker so you can dip in and dip out of your own New York fashion week. With nothing more than some colored pencils, you'll be on your way to a perfect New York day. 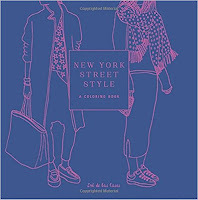 You know how I said I really enjoyed the artwork from Tokyo Street Style, well I could not resist snagging a review copy of Zoé de Las Cases' New York Street Style, as well. Keeping reading to find out why!! While it may take me ages to actually color in a single sheet, I'm really excited about the artwork in this coloring book. I actually enjoy Zoé de Las Cases' illustrations more than the ones in most adult coloring books. Usually, the designs are so busy that one I never know where to start; yet with hers, they're just really nice. The pages are detailed yet not overflowing with designs to the point where your head hurts just from looking at it. I'm not all that familiar with New York, though I have driven through parts of it. So, I cannot vouch for the scenery and wardrobe in some of the illustrations; though I did find most of them to be very appealing to the eye as there's a wide variety of styles in what the people are wearing. When it comes to the designs, other than the clarity of design in the illustrations, what really draws my eyes is the panels with a minimal feel. Like the ones that have just one person and a short message; it's panels like those that catch my attention because it is simple yet well done. Overall, I just really like the variety of panels with this coloring book. You have the busier designs that will take more work to finish, then you have the more minimal designs that you could color in a short time. It keeps the pages fresh and entertaining as you can choose the level of difficulty for your mood. Final Verdict: New York Street Style- Zoé de Las Cases' designs are really vibrant and fresh! I love that there's such a wide variety of designs with her coloring books; you have your more difficult panels then there are the easier ones, too. A copy of this book was obtained through Blogging for Books for review consideration. All thoughts are my own. The Guggenheim Mystery (London EyeMystery, 2) by Robin Stevens, August 3, 2017. Published by Puffin. But then Aunt Gloria was blamed for the theft - and Aunt Gloria is family. And I realized just how important it was to find the painting, and discover who really had taken it. Pretty much everything about both The London Eye Mystery and The Guggenheim Mystery has piqued my interest. What really makes me want to read this series is that Ted Spark sounds like a fascinating character, that and both mysteries sound entertaining. There really are no words to describe why exactly this series calls to me, just that it does. 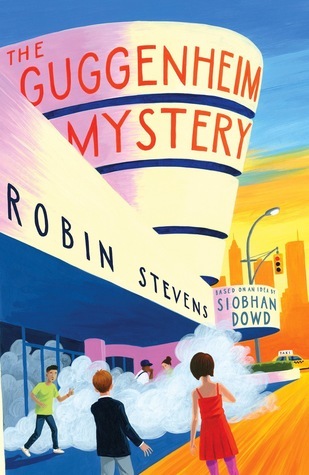 Though I am curious to see how Robin Stevens will continue the series, after I eventually read book one that is, that Siobahn Dowd began a decade ago. 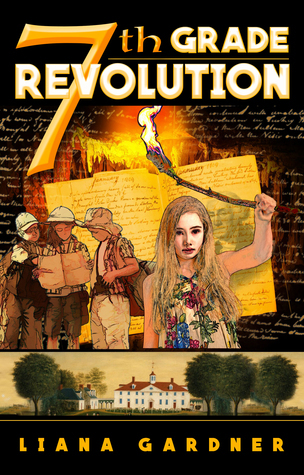 7th Grade Revolution by Liana Gardner and illustrated by Luke Spooner, October 24, 2017. 299 pages. Published by Vesuvian Books. 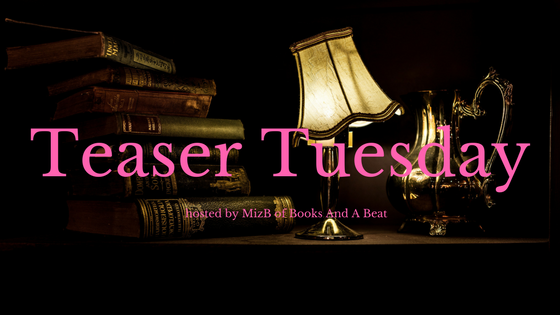 Source: Blog Tour. The gentle flump of a fly against the window caught his attention. While this was a fascinating book, there were a couple things I did not like about it. Yet, overall it was a pretty fascinating and entertaining book to read. 7th Grade Revolution was an interesting read in regards to the historical artifact that the students ended up searching for. I rather enjoyed how their search, and opposition to the FBI (in the book), forced them to reevaluate their perceptions of each other as well as how it forced them all to work through their differences. I like books where characters have to confront their preconceived perception of their peers, which this book a pretty decent job of handling. While I did like the aspects I mentioned above, there were some things I did not like. The biggest of them being that the characters were too stereotyped. Almost too the point that it irritated me as there was a lot of 'type-casting' (nerdy girl and bored boy). Rhonda and Dennis, yeah, I was hoping for 'more' out of them then what was proposed. I guess you could say that the way their characters read was lackluster. Personally, what I truly enjoyed the most about this book was the National Treasure-style hunt for the missing piece of history. It was a fascinating concept to add the story, especially since their school was once the house of a paranoid man filled with hidden areas. The added element of mystery and suspense really brought something extra to the overall story. As to the writing, it was good. Sure, the mystery aspect and search were by far the best-written parts of the book. As to the characters, they just did not seem to be consistently written in a fashion that reflected the ages they were supposed to be representing. Though I did enjoy seeing how the characters changed throughout the entire book; it gave me more reason to root for them on their quest to save their school. It was nice to see characters that you weren't fond of in the beginning evolve. Final Verdict: 7th Grade Revolution- Overall, a pretty interesting read; though it could have used a little more attention on the characters. Keep reading to learn more about the author and read an excerpt taken from the book. You can also enter for your chance to win a copy. 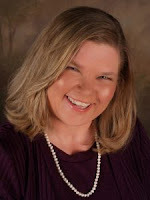 This is a rafflecopter giveaway hosted by Providence Book Promotions for Liana Gardner. 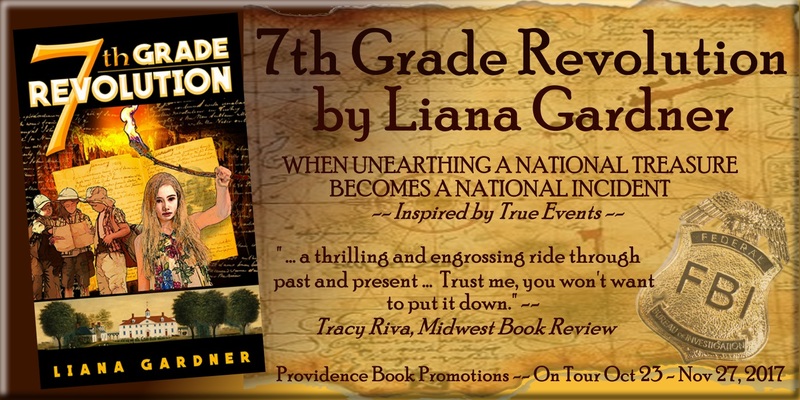 There will be 1 winner of one (1) Amazon.com Gift Card AND 5 winners of one (1) eBook copy of 7th Grade Revolution by Liana Gardner. The giveaway begins on October 23 and runs through November 29, 2017. A copy of this book was received for the blog tour for review consideration. All thoughts are my own. This week on Spinning Pages takes us to Cuba as thirteen-year-old Lora sets out to be a brigadista bringing literacy to her countrymen alongside and the dangerous times she experienced during her year away from home. A truly remarkable story! I don't know about you, but I get so excited when the perfect song for a book leaps into my head!! I just knew from the moment my mind dredged up this one, which I simply love, that it needed to be paired with this book!! These lyrics are perfection, guys! It fits Lora and her parents as they all face the difficult separation that comes with her joining the brigadistas for a year. We all know, no matter the form, letting go is so so hard. Yet, there's always a time and place for when it must happen; in this case, it is the Lora going out to Cuban countryside to teach, where there are bandits who would not think twice about killing her. When you really listen to the entire song, it is a tearjerker. I'll just warn you now! Yet it is one of my favorite songs from Suzy Bogguss. 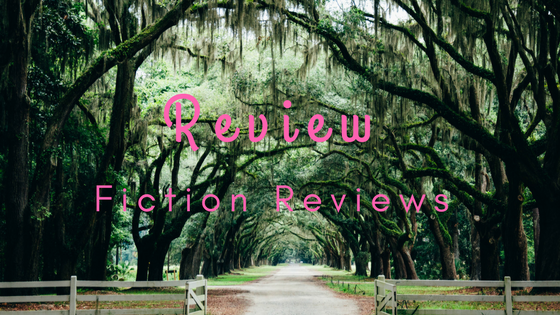 Want to learn more about My Brigadista Year by Katherine Paterson, then hop on over to my review to see my full thoughts on it. If you would like to watch the video for Suzy Bogguss' Letting Go, look no further than the video below! Hope you enjoy one of my favorite songs!! Tokyo Street Style by Zoé de Las Cases, August 29, 2017. 80 pages. Published by Clarkson Potters. 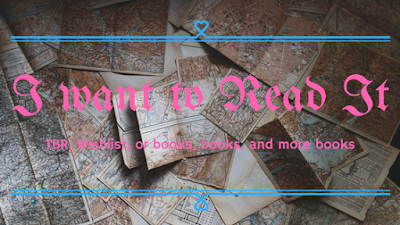 Source: Blogging for Books. This sleek, high-end package has an elastic closure and a satin ribbon marker so you can dip in and dip out of your own Tokyo fashion week. With nothing more than some colored pencils, you'll be on your way to a perfect day. When it comes to coloring, I'm more of a casual, slow-poke coloring type of girl. 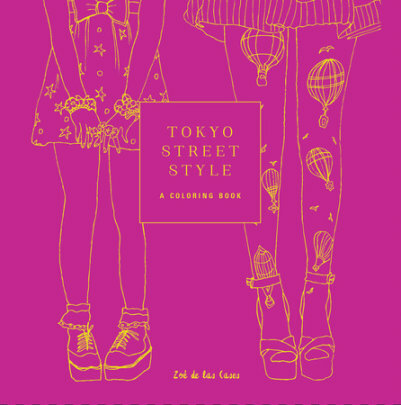 Yet when I spotted Zoé de Las Cases' Tokyo Street Style available for review, I could not resist checking it out! I was not to be disappointed in this decision. Everything about this coloring book is beautiful; from the front cover all the way through the designs within. Design-wise, it's very pleasing to the eye; though the bright pink of the cover was a little shocking at first, although it actually pairs really well with the yellow stenciling on the cover. Okay, enough about the pretty, pretty cover design. I really enjoyed the variety of designs that Zoé de Las Cases created for Tokyo Street Style. Not only were the designs beautiful, but there were designs the were more minimal and those with more detail. The variety really makes it fun to flip through. Even better, the designs that have more going on are no so busy that they leave your head spinning as you try to decide where to start coloring. One of the things I enjoyed most about the designs was that it blended modern with a dash of traditional. I also really enjoyed the patterns that were used for backgrounds and on the clothes. I am actually really looking forward to spending some time coloring in the pages over the next few weeks. 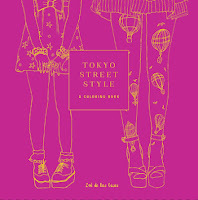 Final Verdict: Tokyo Street Style- This is probably the most eye-pleasing coloring book that I, personally, have come across! It's bright and cheerful without being too crazy! Miles Morales by Jason Reynolds, August 1, 2017. Published by Marvel Press. I don't know why, but the idea of Marvel publishing novels is weird! 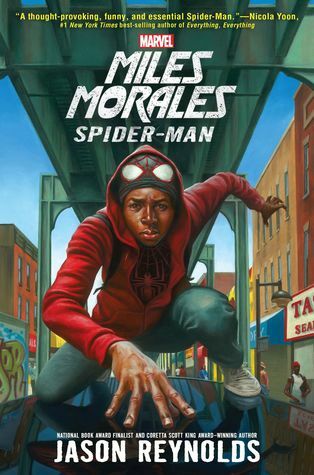 That being said, I am really curious about reading a novel featuring Miles Morales as Spider-Man, it just sounds like a fascinating spin on the Spider-Man franchise. Personally, I not a fan of Peter Parker but I really need to be introduced to Miles. His story is one that I want to hear; I don't just want to hear about him being Spider-Man, I want the story behind the hero and all the struggles that involves. I have not been this excited about a superhero character in a long time!! 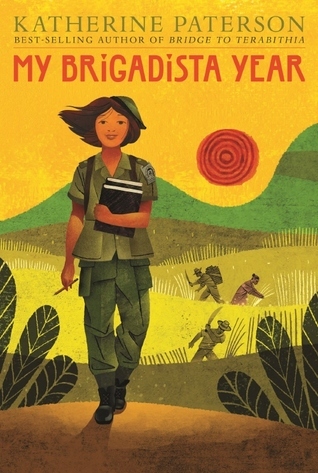 My Brigadista Year by Katherine Paterson, October 24, 2017. 208 pages. Published by Candlewick Press. Source: ARC from Publisher. When thirteen-year-old Lora tells her parents that she wants to join Premier Castro's army of young literacy teachers, her mother screeches to high heaven, and her father roars like a lion. Lora has barely been outside of Havana -- why wold she throw away her life in a remote shack with no electricity, sleeping on a hammock in somebody's kitchen? But Lora is stubborn: didn't her parents teach her to share what she has with someone in need? Surprisingly, Lora's abuela takes her side, even as she makes Lora promise to come home if things get too hard. But how will Lora know for sure when that time has come? Shining light on a little-known moment in history, Katherine Paterson traces a young teen's coming-of-age journey from a sheltered life to a singular mission: teaching fellow Cubans of all ages to read and write, while helping with the work of their daily lives and sharing the dangers posed by counterrevolutionaries hiding in the hills nearby. Inspired by true accounts, the novel includes an author's note and a timeline of Cuban history. "Ai-ee!" In all my thirteen years, I hadn't heard a screech that since the time I accidentally stepped on the cat's tail. When I was approached about possibly featuring My Brigadista Year on my blog, I said yes for two simple reasons. It sounded interesting and I had previously enjoyed another book, Jacob Have I Loved, by Katherine Paterson, the author of the book. So, what did I think of it? To be quite honest, I cannot commit on how much of the book is actually factual and how much is not, when it comes to the brigadistas and their cause to promote literacy in Cuba, as this book was the first time I had even heard of that initiative. That being said, it was fascinating to learn something new about Cuba that had nothing to do with, well, it was just nice to see a positive historical fact, yes I looked into it, from Cuban history. Though the initiative, of raising literacy, really rather cool (I was curious and did some [skimming the surface] research on it). Beyond the historical aspects of the book, I want to now discuss Lora and what she experienced during the year she was in a brigadista. From the start, I knew she was going to be an interesting character to read about; as she decided and insisted at such a young age that she would help too, teach those who didn't have access to the schooling that she did, bring literacy. She's thirteen and wants to go out away from home to teach her fellow countrymen! That is pretty incredible, you know! While I don't want to spoil what happened during the year, I do want to mention how much it changed her. Not only did she assist her "family" in learning to read, they also taught her the value of working with your hands. There was definitely give and take during the whole endeavor. So as not to spoil too much of the book, let's talk about the writing! I actually enjoyed Katherine Paterson's writing more in this book, as I thought she did a great job with the setting and character development, than that of her last book that I read. Case in point, I meant to only read the first page to 'check out' the story, and then next thing I knew I was closing in on the end. Her writing and the overall storyline just really drew me in. Final Verdict: My Brigadista Year- Was an incredible journey to read about! Lora's voice just flew off the page and her story kept me glued to the page (even when I should have been doing other things). This was one of the easier books to pair with a song. Pretty much once I hit the halfway point in the book, I knew that it would have to be this song from Reba McEntire. See why. As I was reading The World's Greatest Adventure Machine, I knew that this was the song I would pair with it. It so perfectly captures the struggle and fights that Nika, Cameron, Trevor, and Devin had during their adventure. 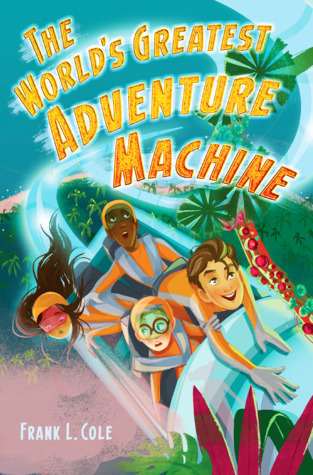 Not only were they pushed to their limits within the adventure machine, they also had to face their fears and confront their abilities. All of which is why this song is well suited for the book. 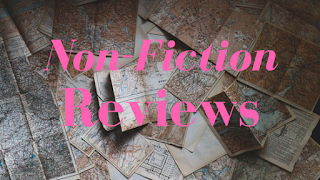 Want to learn more about Frank L. Cole's The World's Greatest Adventure Machine, then check out my full review to see why it was such a fascinating read!! You can also listen to Reba McEntire's I'm Gonna Take That Mountain, a great song when you need some encouragement/inspiration to get through a tough spot, by checking out the video below!! 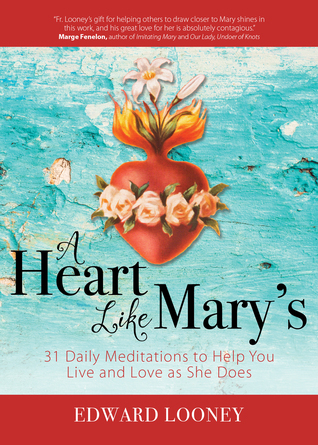 A Heart Like Mary's: 31 Daily Meditations to Help You Live and Love as She Does by Edward Looney, October 6, 2017. 160 pages. Published by Ave Maria Press. Source: Publisher. 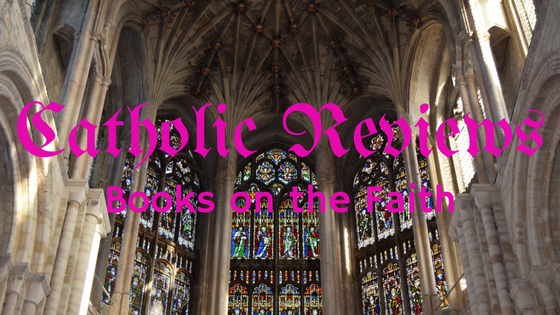 I was so surprised and excited to have received a copy of Fr. 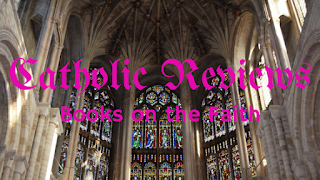 Edward Looney's A Heart Like Mary's in the post for review consideration. It was a timely received book; one whose message of praying for a heart like Mary's that was much needed. I'll be honest here, I know that it was supposed to be thirty-one days of meditations...but I read it in one day. On the bright side, my reading it in one day was so that I could review it sooner with the plan of rereading it again starting this week; that and I have my parents and sisters reading it, too, now. There was so much to enjoy about this book, from the short meditations about different characteristics of Mary's heart and how to implement them in your life, to how so many of the passages, like patience, spoke right to my heart. I mentioned above that this book arrived in a timely fashion, a time that I needed to hear to be more patient, so a lot of aspects of the book felt more personal. Fr. Edward Looney's writing was really refreshing. The way he laid out the daily meditations, as well as the broad scope of them, made the book light yet full of depth of the heart of Mary. As he pointed out, this is in no way an exhaustive look at her attributes, nor of how we can learn from her life, but a good starting point to gaining a better understanding of her and how she can draw us closer to Jesus. Final Verdict: A Heart Like Mary's- A beautiful look into the heart of Mary; a clear and simple message to help you grow in your faith. 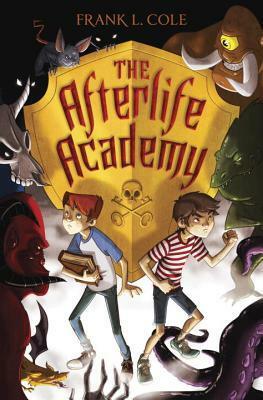 The Afterlife Academy by Frank L. Cole, September 8, 2015. Published by Delacorte Press. Walter Prairie knows how to deal with bullies. He just has to beat them to the punch. But he doesn't see the biggest hit of his life coming when he is struck dead by a bolt of lightning. Before Walter even knows what's happened, he is sent to a Categorizing office, fast-tracked through the Afterlife Academy, and assigned as a Guardian Agent to protect a High-Level Target. Walter's HLT, Charlie Dewdle, isn't exactly the most popular kid in school. He's what you might call paranormally obsessed. When Charlie finds an ancient book with spells that can be used to open the Gateway for demons to wreak havoc on earth, it's up to him and Walter to fight an eclectic horde of enemies and protect humankind at all costs. But saving the world isn't so easy. Especially when your protector doesn't know the first thing about the Underworld, bullies like Mo Horvath are trying to hunt you down, pretty and popular Melissa Bittner is suddenly talking to you, and your parents think you're going crazy. Having just finished reading Frank. 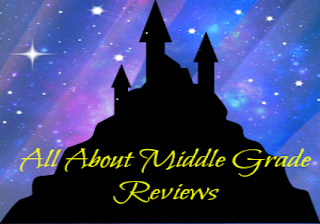 L. Cole's newest middle-grade book, The World's Greatest Adventure Machine, I was curious to see what his previous books were about. Which is how I stumbled upon The Afterlife Academy on Goodreads; the bonus is that it sounds pretty interesting. While the write-up sounds a little kooky, it looks to be an entertaining, though light, adventure book! Personally, I'm really curious about how the author plans on pulling off the premise of this one; though I am willing to give it a chance because his other book was really quite good.